Asking for a friend if your Patreon contains NSFW art, as the teaser suggests. Totally not asking for myself. Oh, so THIS explains how they’re able to ignore physical and temporal laws with reckless abandon! 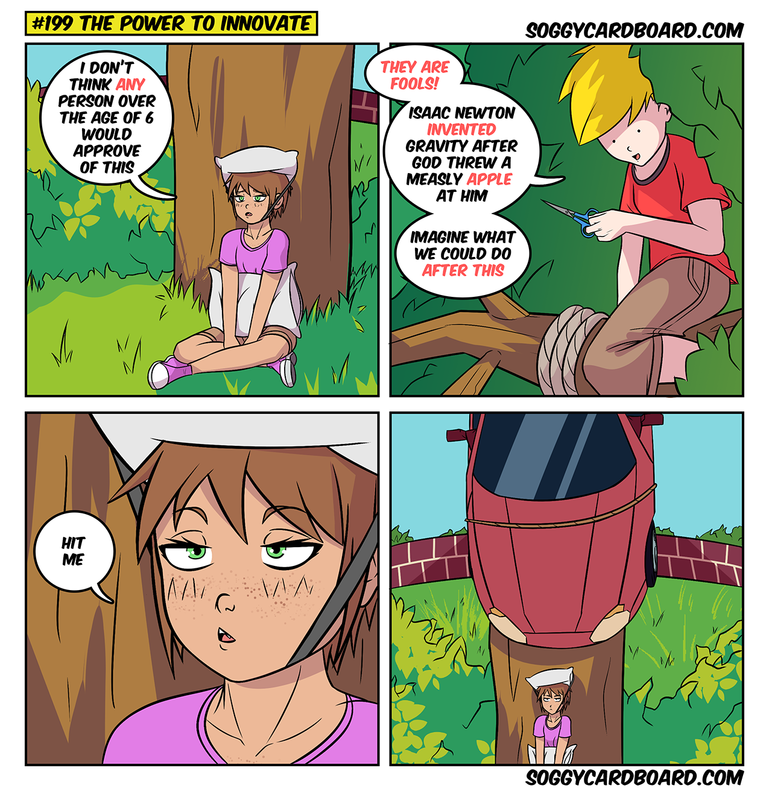 But it doesn’t explain how they got the car up there in the first place. It’s amazing what you can do if you bring enough rope.